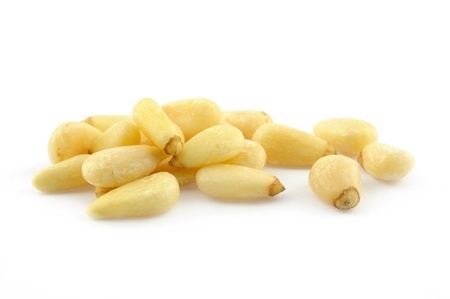 Pinenuts are the edible seeds of pines normally used for Pesto, salads, breads, meat, fish and vegetable dishes. 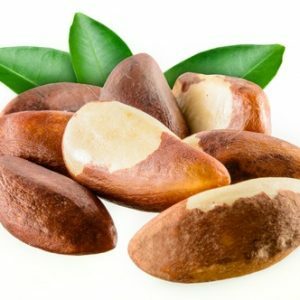 It takes anywhere from 15 to 25 years for the trees to begin producing pinenuts, and three times that period to reach top production. The majority of the harvest comes from uncultivated trees and most cultivation is actually done by hand which in some way explains the price. New crop will normally begin to be in circulation in Europe by December. Crop sizes vary hugely, but generally we can assume a short crop is around 18,000mt global production and a large crop around 35,000mt. 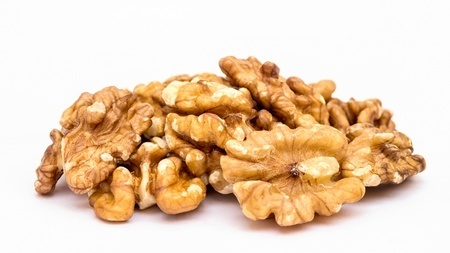 Commonly Pinenut crops run in cycles of five three medium size crops, one large crop and one negligible crop although the order of crop sizes isn’t uniform. Most of the Pinenuts in European trade are sourced from China. 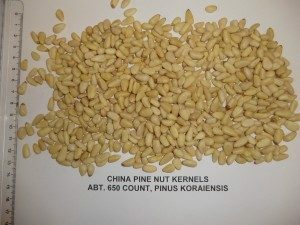 In addition to the many species of pine nut produced in China, Chinese processing plants also import un-shelled pine nuts from Korea and Russia, then process and re-export them as Chinese Pine Nuts. 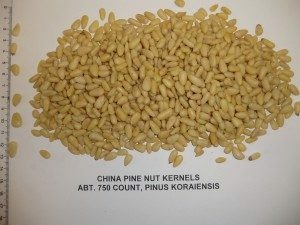 Although there are roughly 20 species of harvested Pine nuts, the most commonly traded are Pinus Koraiensis (native to China and Korea) and Pinus Sibirica (native to Siberia). 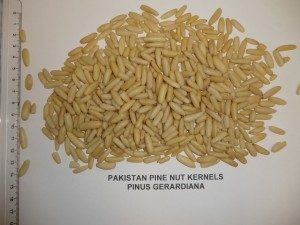 The European variety, Pinus Pinea, is generally considered very expensive and is traded in much smaller quantities, whilst Pinus Yunnanensis is commonly avoided due to its close resemblance to Pinus Armandi the cause of pine mouth. 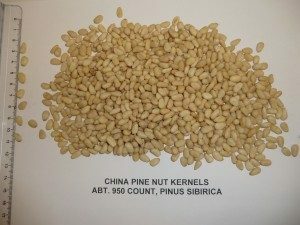 Pinus Sibirica are a rounder egg-shaped kernel and are generally 7-10mm in length. They are said to have a crisp, buttery taste. Pinus Koraiensis are rounded at the bottom with a narrow tip, similar to a corn kernel. 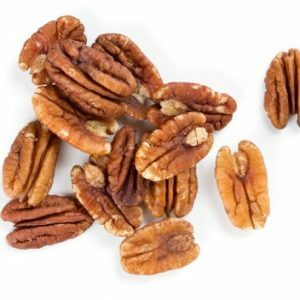 They are generally 9-14mm in length and can be described as crisp with a milder flavour.